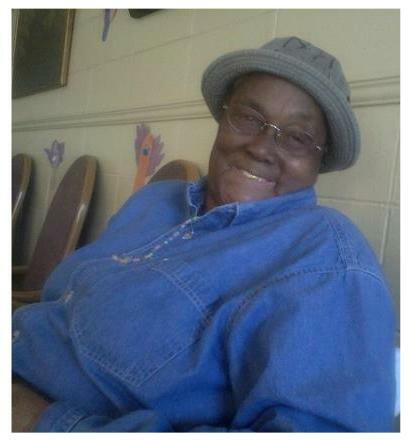 Funeral services for Mrs. Viola Green of Byromville, Georgia will be held on Saturday, May 12, 2012 at 11:00 A.M. at the Mt Olive Baptist Church in Byromville, Georgia with Rev. Alvin Turner officiating. Burial will follow at the church cemetery. Mrs. Viola Green, daughter of the late Laurena and Ran Felton, was born January 23, 1922 in Dooly County, Georgia. At an early age she confessed her faith in Jesus Christ and became a member of Mt. Olive Baptist Church. Mrs. Green always had a positive attitude and a spirit of generosity. She was a very caring, fun-loving person who will be missed by many. She passed away on Sunday, May 6, 2012 at Montezuma Health and Rehabilitation Center. Mrs. Green was the mother of eight children; two preceded her in death, Manikin Green and Mary Ann Green. Left to cherish her memory are her children: Laurena Jones of Elizabeth, New Jersey, Elizabeth (Robert) Reese and Mildred Green of Newark, New Jersey, Victoria Burden of Montezuma, Georgia, Gloria Smith and Howard Green of Byromville, Georgia; her brother and sister, Willie James Felton and Sennie Mae Green of Miami, Florida; fourteen grandchildren, a host of great grandchildren, great great grandchildren, other loving relatives and friends.